Whether you’re flying with us, using the FRONTIER World Mastercard® for everyday purchases or earning through our partners, we make it easy to collect miles and the rewards that come with them. We're making it easier than ever to put miles in your account. Unlike most airlines, you will earn 1 mile for every 1 mile flown, no matter the price of your ticket. And remember, just 10,000 FRONTIER Millassm is enough for an award one-way domestic flight. To start earning, all you need is an account and we'll take care of the rest. no matter the ticket price. 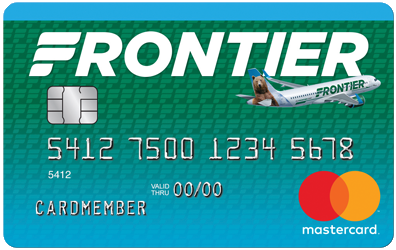 The Frontier Airlines World Mastercard® gives you more miles, more rewards and more ways to travel with every purchase you make. 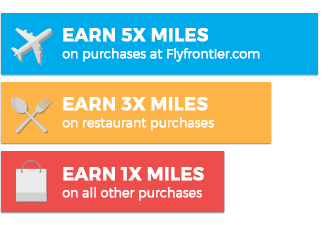 We’re talking five miles for every dollar spent on Frontier purchases, three miles for every dollar spent at restaurants and one mile for every dollar spent anywhere else! Flying isn’t the only way to earn FRONTIER Miles. From travel to every day purchases, our collection of partners gives you more ways to keep earning more miles. Earn 10 FRONTIER Miles for Every $1 spent* when you order flowers from Teleflora! Earn up to 5 FRONTIER Miles per dollar with your Groupon purchases! Get to the fun faster with great cars and low rates and earn up to 500 FRONTIER Miles per rental. Click on our partners to view details and special deals on earning FRONTIER Miles!